Hello friends, family, and readers! It's been a while, right? I can't even count how many national holidays have already passed since you last heard from little ol' me. But, ya know the holidays... things get busy. Wanna know what else I've been up to since we last spoke my last entry? So yea! I'm West Tennessee Outreach Coordinator for a wonderful company, APS Healthcare. For more than 15 years, APS Healthcare has been dedicated to the design and delivery of specialty health services that focus on health improvement as a means to lowering costs and improving quality of life. We began as a behavioral health company but saw the opportunity to do more for the members and customers we serve, the providers we work with and the broader community. As our focus evolved so did our mission. Today, as one of the nation’s leading specialty health services company, we leverage our core competency in behavior change to deliver total health management innovations that make a significant, positive impact on the healthcare system. Only APS brings together the experience, technological savvy and high-touch local operations vital to opening lines of communication and linking people to the services they need. It is through this process that positive behavior change happens and which, in turn, improves clinical outcomes and financial results. 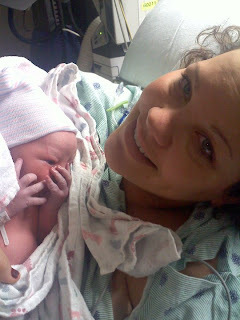 A few days later after being offered my new job... my baby sister had her baby! I was in the library on campus working on my thesis at 2am when she called me freaking out because her water broke, and I thought that only happened in the movies. Surprise! 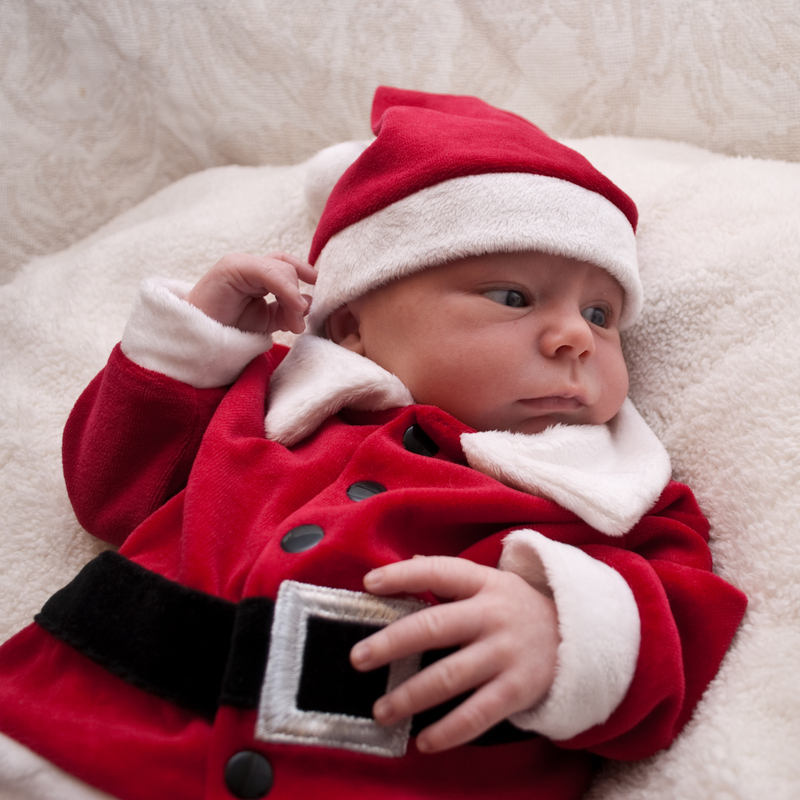 Baby Gabe came made his appearance just a day earlier than planned. 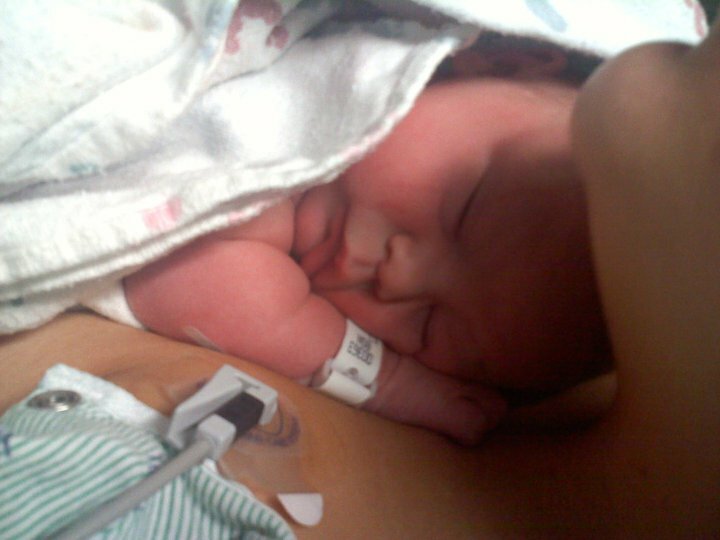 My sweet little nephew was born December 6, 2010. Oh yea, he's pretty much perfect. I took this picture with my phone about 30 minutes after Gabe made his appearance! 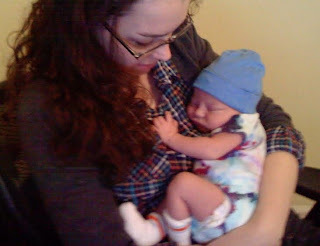 Baby Gabe and his mummy! He came out sucking his thumb. So sweet! Gabe at 3 days old, pretty sure I took this picture around 2am. Me and my little nephy, just before I left for Nashville when he was 10 days old. 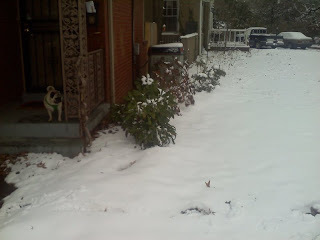 Mid-December I headed to the lovely city of Nashville for a week of training with my new job. I had a great time, learned a lot, made a lot of phone calls, sent a lot of emails, and ate some great food. If any of yall get the chance to go to Nashville, do yourself a favor... go to Eastland Cafe, and order the Pork Belly. It had a local sorghum and honey glaze, served with green chili mac-n-cheese and braised collard greens with roasted peanuts. I didn't memorize it, that's how it's listed on the website. 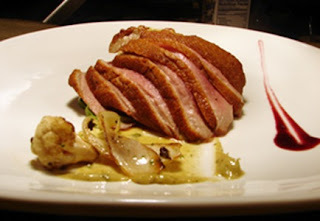 The roasted duck breast from Eastland Cafe... which I also sampled, and was also delicious! I had heard about pork belly a lot lately. I feel like it's the next big thing in the foodie world. I'm seeing it all over the Cooking Channel and Food Network (btw - two totally separate channels, I prefer the CC) lately, and my interest had been peaked. Man, I kinda wish I had taken a picture. It was just... SO GOOD. What I loved about this restaurant is that it utilizes locally grown and produced foods.Call me a food nerd, but I totally did my research afterwards, and it turns out that perfect piece of pork hails from Niman Ranch. Before you get all freaked out about pork belly, riddle me this... do you eat bacon? Then order yourself a plate of pork belly. I know, I know... "But Laurie, you're a nutritionista... how are you telling me to order a slab of pork belly." Everything in moderation, my friend, everything in moderation. 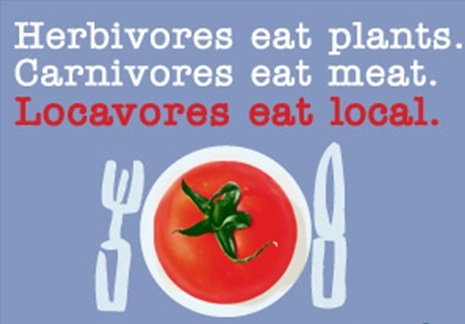 If you're interested in the local food movement, check out this TIME magazine article from a few years ago, Eating Better Than Organic.. For my Memphis people, check out one of my favorite blogs Eat Local Memphis. Alright, I'm off my locavore soapbox... and back to what else has been going on. 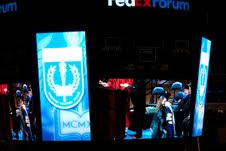 So yea... after a week in Nashville, I drove home to Memphis just in time to walk at my graduation! Hooray! I felt very thankful, and pretty proud of myself actually, that as I sat there with my fellow graduates during the commencement speech... I knew that I had a job waiting for me on the other side of this exciting event. I felt like all of the hard work and stressful schedules of balancing internships, academics and part time jobs in nutrition in health had really paid off because they led me to where I am now. Here's the thing... I wasn't a four year undergrad student. I wouldn't say that I "took my time," but I had a lot of bumps in the road. And to my sweet grandmother who is reading this, that isn't code for partying. I had some legitimate obstacles that kept slowing me down. But I made it, finally! Yea.. 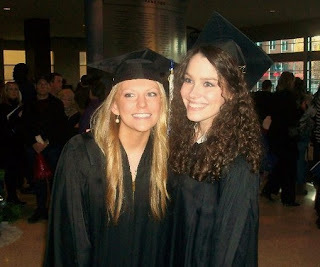 I may or may not have gotten emotional on graduation day. Whatevs. Me and my roomie Gabbs! Yea... I hugged the President of University of Memphis. I was THAT glad to be graduating! She was a little startled. 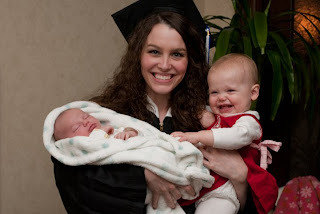 Baby Gabe and my sweet niece, Ruthie! She's actual 1 year old today! The Holt siblings! Alex, me, Liza, and Andy. Santa Gabe-y... yep, this happened. Then there was New Year's Eve. 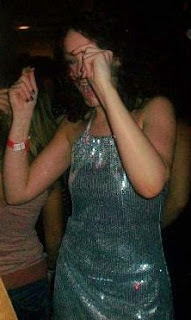 Long story short, I wore a sparkly dress, drank champagne, and played Rock Band. You know the typical New Year's Eve. I tend to wear the same kind of dress every year for NYE... it's the one time where I can feel justified wearing a dress which on any other day of the year would make me look like a Tina Turner impersonator. I changed it up this year by throwing on a fabulous black skirt with pockets over a former NYE dress = totally new outfit! Hooray for saving $$! 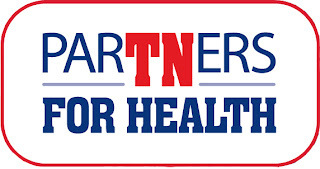 So I headed back to Nashville for a week shortly after the new year for the big ParTNers for Health kick-off. How cute is the the capital TN in Partners, right? Genius marketing. Then it was back to Memphis once again where I was greeted with this mad snow storm which has hit pretty much everyone, right? 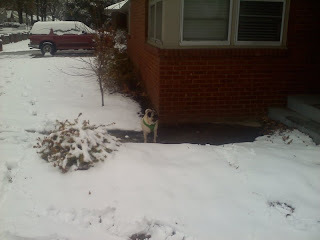 Mr. Teddy isn't a fan of snow, as evidenced in this picture. Doesn't he look so awkward? I guess he's just an indoor lap dog at heart... and a cute one at that. It took about 5 minutes of coaxing him to come off the steps. 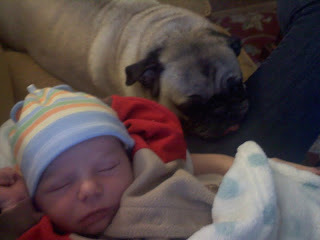 I think he would rather be cuddled up next to this little guy. I'm currently in Martin, TN (near the northwestern part of this beautiful state.) 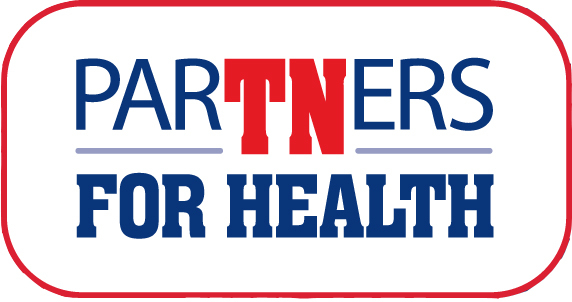 I'm conducting site visits for all of the health screenings that we'll be hosting over the next few months on site at all of the state agencies, county schools, and local government offices. I'll head back to Memphis tomorrow. Now, here's the thing friends. I'm about to be traveling... a lot. As in, I was putting together my travel schedule for the next few months and as it turns out between today and May 4th, I'll be sleeping in a hotel for a grand total of 40 nights! The other thing about traveling a lot is the whole eating-and-exercising-on-the-road dilemma. I mean, HELLO! I'm the kinda girl that enjoys a good meal, but eating on the run/road isn't exactly the way to stay healthy. AND I know that not all towns I'll be traveling too will have a Whole Foods for me to run by and grab lunch from their hot bar. So... get ready folks. While I'll still be reviewing my favorite healthy foods, products, recipes, and fitness routines, my new job has led me to add a new element to my humble little blog. I'll be blogging about how to stay healthy while traveling and when you're not in the comfort of your own home. Essentially you'll be learning as I do. 1. Avoid fast food at all costs. Let's face it, it's inevitable that I may have to stop at a fast food restaurant at some point. If I do, I've already decided... no french fries. You may think I sound like a french fry prude, but let's say for instance that I were to eat dinner at a fast food restaurant at least once a day while on the out of town on those 40 days. A regular waffle fries from Chick-Fil-A, the healthiest of the fast food options, packs 350 calories x 40 days = 14,000 calories. Wham bam, no thank you mam! 2. If I'm staying at a hotel for at least 2 nights... I WILL bring my workout clothes. All hotels have a gym for a reason, why is no one ever using them? 3. Travel with healthy travel snacks. Gas station convenience foods can leave a hungry traveler paying $1.25 for a Snickers bar and 271 calories. I prefer to bring along a box of these little guys instead... Annie's Bunny Graham Friends Preparation is the key. You know what they say, "fail to plan... plan to fail." 4. Easy on the room service. These menus are mostly packed with chicken tenders, BLTs, pizza, and chicken wings. 5. Just because the company is paying doesn't mean overindulge. One might think, "Hey they're paying. Well I did just have a tasty appetizer but sure! I'll follow my steak with a slice of double chocolate cake!" First of all... that's silly, I'm not a big fan of steak. You may not pay for the meal with you money, but you will with your waist line. Am I right or what? 6. Take advantage of that WiFi and my smart phone. The big world wide webs offers countless resources on finding health food, no matter where you are and the size of your budget. See Healthy Dining Finder for some helpful AND healthy guidance. 7. Bring along a workout DVD. Even if I don't have time to hit the gym, most hotels have DVD players in the room now. So next time you're at a hotel and you hear some loud hip hop/salsa music, I might just be down the hall from you breaking a sweat to my Zumba DVD. 8. Beware of the breakfast bar. The hotel I'm currently at has a complimentary breakfast in the morning. I'm sure to be greeted with Belgian waffles, cheese danishes, muffins, eggs, bacon and biscuits. While that may sound tempting, I'll be sticking to the yogurt, fruit, oatmeal or cereal selections. 9. Take advantage of these comfy hotel beds and get a good night's sleep!!! Most of days will be starting at 6am!!!! Sleep is just as important to your health as a good diet and exercise routine. The lack of quality to sleep can lead to making the more unhealthier choices that you're faced with every day. Think about it, when you're tired and need some fast energy... you're much more likely to order that grande white chocolate peppermint mocha frappe with extra whipped cream. Not cute. 10. Enjoy in moderation. If you haven't figure out, I'm a southern girl... and though I strive to eat healthy food, I still indulge in some of the south's finest cuisine at times. Today, while in a tiny town in northwest Tennessee, I received a recommendation to go try this "tiny little restaurant with the best catfish!" Why not?!? The town I was in was very reminiscent of the movie Fried Green Tomatoes and I knew they would have some good ol' southern food. So I headed the advice of one of my clients. I walked into this little restaurant and ordered the catfish. It was really good catfish, but the amount of food that they brought for little ol' me could literally have fed another two people as well. I kid you not. There were 3 pieces of catfish, cole slaw, 3 hush puppies, green beans, french fries AND onion rings. I've never seen french fries and onion rings served together. I tried a little of each, but left the fries alone... eh? Wasn't feeling them, and know what french fries taste like. I didn't finish a single side item, and I only ate about half the catfish... and I still felt quite full when i left. Congratulations on the job and new nephew. I wish all the best to your professional carrier. 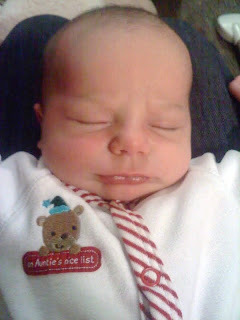 Whooop new blog, new job, new nephew. Life is good, Laurie!!! I read your brother's blog and followed his link to your blog. What a great blog. Also wanted to thank you for running the 5K for Life Choices. 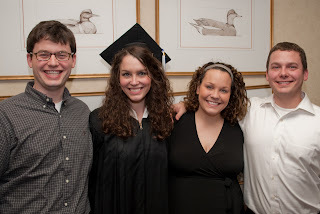 We adopted our daughter through life choices in 2009. I love the folks that work there!